Big Island car shoppers looking for an incredibly fuel-efficient vehicle often consider the 2017 Ford Fusion Hybrid. After all, the Fusion Hybrid offers a long list of features and excellent fuel efficiency numbers at an affordable price. However, when compared to the 2017 Honda Accord Hybrid, the 2017 Fusion lags behind in fuel economy, power, affordability, and a variety of other components. 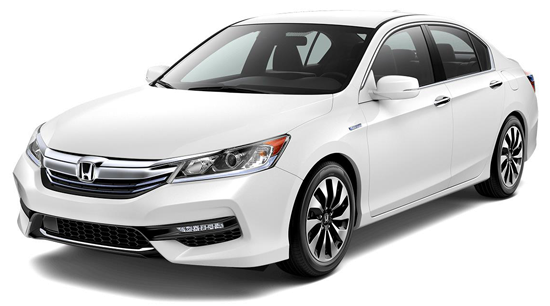 At Big Island Honda, we’ve created this handy comparison to help simplify your search for a hybrid vehicle and further prove the superiority of the all-new Accord Hybrid. Fuel economy is one of the most important considerations for hybrid car shoppers. Under the hood of the 2017 Honda Accord Hybrid, you can expect a potent 2.0L 4-cylinder engine and a pair of electric motors, resulting in a combined 212 hp. Fuel efficiency ratings for the base Accord Hybrid are 49 mpg in the city* and 47 mpg on the highway* when paired with the continuously variable transmission, meaning you don’t have to sacrifice power for exceptional gas mileage. Although the 2017 Ford Fusion Hybrid is equipped with the same engine found on the Accord Hybrid, the Fusion Hybrid falls short in both the power and fuel economy departments. Its 2.0L 4-cylinder engine and electric motor combo is only capable of a combined 188 hp, as well as 43 mpg in the city and 41 mpg on the highway. It’s clear that the Accord Hybrid is the more powerful and gas friendly vehicle. In addition to saving you more at the fuel pump, the 2017 Honda Accord Hybrid will save you money on your vehicle purchase. While the top-tier Ford Fusion Hybrid Platinum starts at $37,020, the range-topping 2017 Honda Accord Hybrid Touring can be yours for a base MSRP of **$35,955. By opting for the Honda, you’ll be able to pocket over $1,000 or put the additional money towards extra features. If you’d like to get the biggest bang for your dollar, select the 2017 Honda Accord Hybrid over the 2017 Ford Fusion Hybrid. 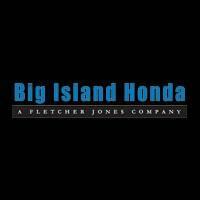 To truly understand the greatness of the 2017 Honda Accord Hybrid, take a trip to Big Island Honda for a test-drive. We can’t wait for you to experience this one-of-a-kind hybrid firsthand! *Based on 2017 EPA mileage estimates. Use for comparison purposes only. Do not compare to models before 2008. Your mileage will vary depending on driving conditions, how you drive and maintain your vehicle, battery package/condition, and other factors. **MSRP excluding tax, license, registration, destination charge, and options. Dealers set their own prices.